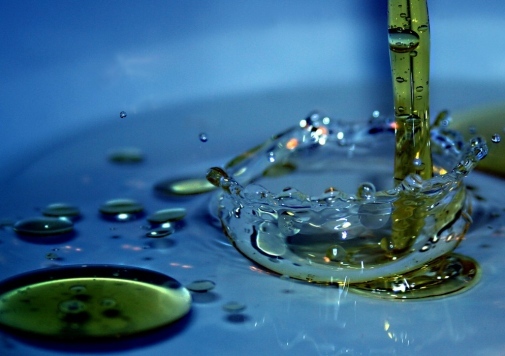 Chemicals in refined cooking oils like palm oil can cause cancer, shown in several studies. In a new doctoral thesis, Jenny Aasa at the Department of Environmental Sciences and Analytical Chemistry (ACES), Stockholm University, has studied two such chemicals, and by using a new approach she hopes to improve and shorten the time for risk assessment. The chemicals that Jenny Aasa has investigated are called glycidol and 3-monochloropropane-1,2-diol, or 3-MCPD. Both are carcinogenic chemicals in animals and have been measured in a large number of foods, especially in heat-treated cooking oils. “The highest levels are found as esters in refined cooking oils, such as palm oil. It is common to use that type of oils in the production of different foods, such as cookies, biscuits, chocolate and fried foods. When you eat such foods, the esters break in the gastrointestinal tract and release glycidol and 3-MCPD. It is of concern as they have been shown to cause cancer in animal studies”, says Jenny Aasa. The International Agency for Research on Cancer, the World Health Organization (WHO) Cancer Research Organization, classifies glycidol as probably carcinogenic and 3-MCPD as possibly carcinogenic to humans. An important part of the thesis work has been to investigate if it is possible to replace the two-year rodent cancer studies that usually is required for assessing the cancer risk for chemicals. Therefore, Jenny Aasa has performed so-called genotoxicity studies for glycidol and 3-MCPD, with cells in test tubes and in short-term studies in mice, which enable data collection in less than one month. “It reduces the number of animals for animal testing and saves time and money”, she says. The data obtained in these studies can be used in a mathematical model for risk assessment. In the long run, the model could be applied by other researchers and agencies working with cancer risk estimation. A crucial part of the work has been to measure the doses of glycidol in cells, mice, rats and humans through mass spectrometric analyses. Another component has been to compare the results of glycidol with results for ionizing radiation. “The risk of cancer from ionizing radiation to humans is well known from, for example studies on survivors from the nuclear bombs in Hiroshima and Nagasaki. By performing a comparison of the mutagenic effect between a chemical and ionizing radiation, a comparison of the risk (a so-called radiation dose equivalent) is obtained, which makes the estimation of the cancer risk of the chemical even more reliable”, says Jenny Aasa. She believes that the uniqueness of the model presented in the thesis is that the doses of glycidol are measured and that a comparison with ionizing radiation is made, which provides a more confident risk estimate. “The approach is promising, but data from published cancer tests for more chemicals of other substance classes should be evaluated to broaden and further confirm the approach”, says Jenny Aasa. She hopes that the risk assessment can provide a basis for reducing people’s exposure to glycidol. The risk estimate to humans, derived by Jenny Aasa, shows that we are exposed to glycidol at levels that are significantly higher than what corresponds to a lifetime risk that is considered acceptable, by for example WHO. “I also hope that more people will become aware of this approach, and that they are able to contribute to the evaluation of the model with more chemicals, and start using it for more reliable cancer risk assessments”, she says. More information about Jenny Aasas thesis “Cancer Risk Assessment of Glycidol, Evaluation of a Multiplicative Risk Model for Genotoxic Compounds”, can be found here.